assumed a new role as Executive Chairman. honored and excited to lead our amazing team forward,” Schwartz said. becoming an employer of choice for top industry talent. developing new capabilities, and pursuing M&A opportunities. Marketing Platform Sales Partner. 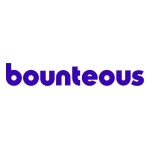 For more information, please visit www.bounteous.com.